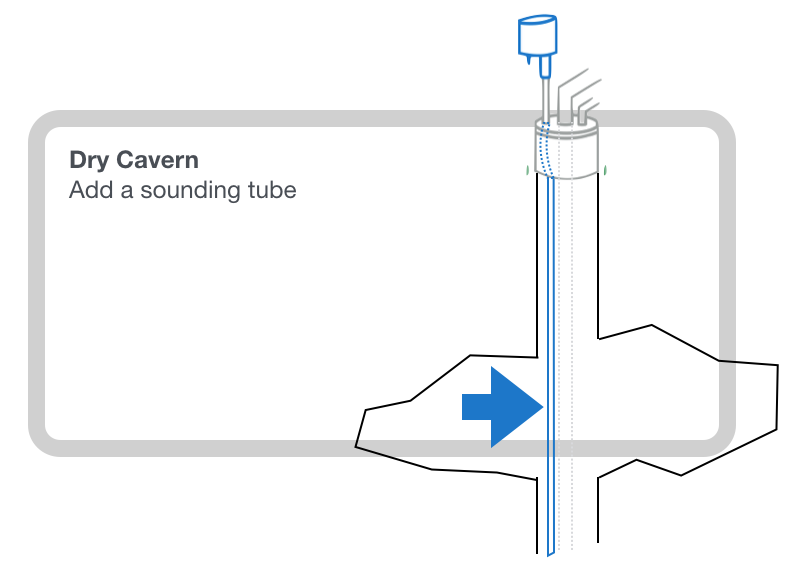 Where there are dry caverns or harsh fractured rock, it is best to mount Wellntel on an access port fitted to a sounding tube. In this case, the sounding tube contains the signal and enables successful readings. Wellntel recommends a sounding tube be installed by a qualified well servicer as a matter of practice in regions where the geology demands. We’re happy refer a professional in your area if we can. Feel free to inquire by email at techsupport@wellntel.com.